Our Happily ever after, to the moon and back,and It was always you neon it PERFECT for the top of the aisle, it’s romantic, personal to you, and the images are beautiful, just think how wowed guests will be when they are waiting for you to arrive to see and smile at the signage. Get your groove on and get dancing! Our biggest signs ‘Crazy in Love’, Let’s get this party started’ and ‘TIL death do us party’ was made for this reason! They are fun, speaks volumes and the light and colour adds to the atmosphere. We love romance but let’s be honest, once the sun goes down and the music gets playing the wedding party is just the best feeling. So get your dancing shoes on and get bouncing! 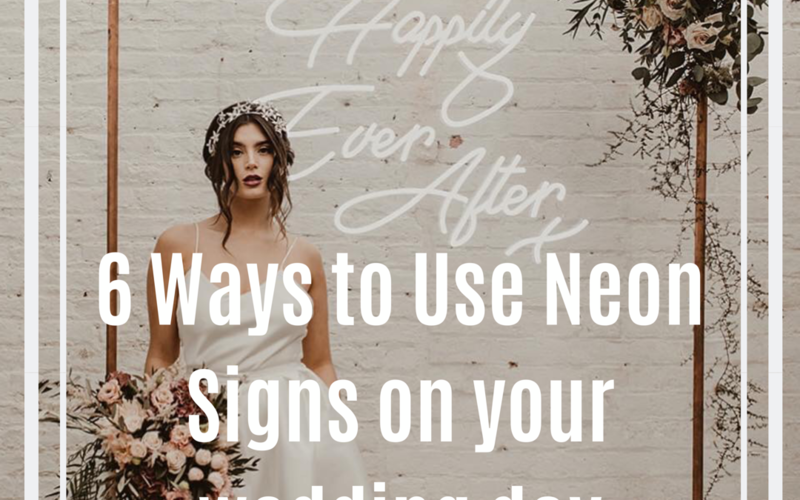 Yes the neon is a modern day ‘trend’ (I don’t like that word) but it’s not confined to a modern day wedding, we have done so many in a rustic setting, barns and sometimes the only added extra in a minimalistic wedding. 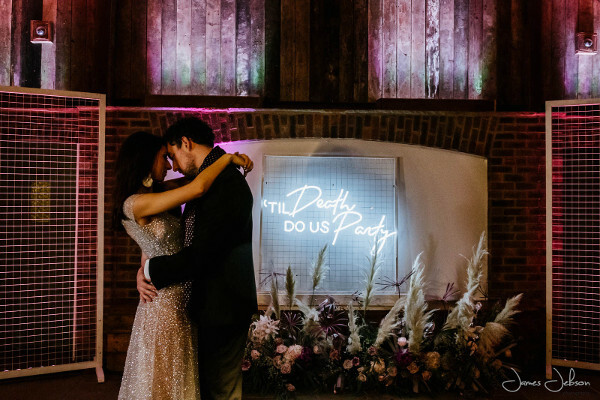 Our neon signs make for an eye catching prop for your wedding guests to pose with and with all our local and recommended venues we work with in Cheshire and Manchester there are so many great entrances and barn space where this works perfectly! Whilst your guests are supping on bubbles and waiting for you to have your one and one piccies taken they can be posing and taking selfies with one of our backdrops and neon signs or shapes! 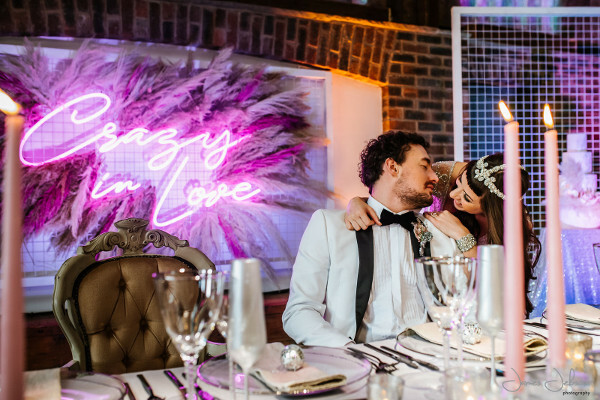 Utilise the signs for more than one use, using our frames or backdrops you could have the neon sign eg happily ever after at the top and add another acrylic sign that has been screen printed or vinyl printed. It would really well on our foliage wall, to add a luscious whimsical vibe add florals too! Our white mesh or black mesh circle works well with this idea too! 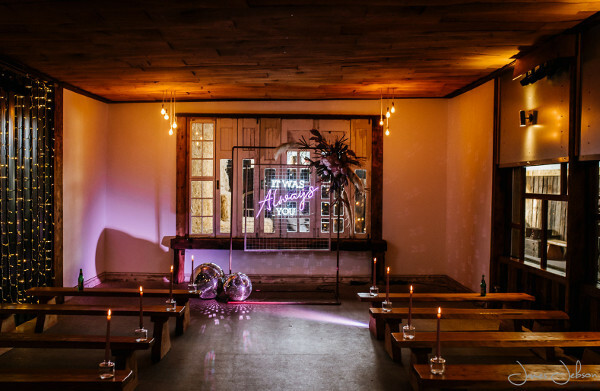 Or hang the table plan beneath the neon on one of our frames. We work with a number or companies who do this or if you get Corrie from The Soirée Stylist to style your wedding day she does the most incredible acrylic signs too! We have some weddings lined up using them in this way…pictures to come! To enquire about prices please email hello@thewordislove.co.uk or use our Contact Form head over to our instagram to check out our stories highlights and grid for inspiration!